discussed in Dr. Furman’s book, Prescription For Life. 1. Which food should you never eat again? 3. Which condition is a warning sign of arterial blockage in a man’s heart? 5. Studies show that nearly 80% of people who lose weight and keep it off do which activity? 6. Which activity increases life expectancy of women 5.6 years and men by 6.2 years? 7. According to medical studies, which component is most linked to people who have Alzheimer’s? 8. Which activity can help women reduce their risk of breast cancer by 25-50%? 9. Which factor is most responsible for artery blockage and a higher risk of heart attack? 10. What percentage of Americans over the age of 50 have significant blockage in the arteries of their heart? If you answered 3 or more of the quiz questions incorrectly, your Health IQ needs a tune up! 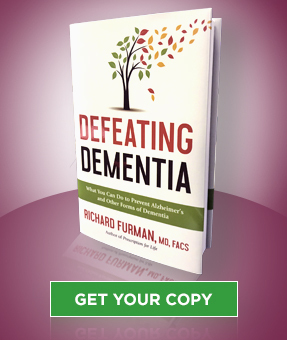 Get a copy of Dr. Richard Furman’s book, Prescription for Life. Your body will thank you. Dr. Furman combines decades of experience as a vascular surgeon with research from over 100 recent medical studies to provide the best information available. His Prescription for Life plan gives you three simple strategies to take charge of your health, prevent life-threatening diseases, and live younger, longer. It’s truly possible to turn back the clock on your body, add years to your life, and feel better than you’ve ever felt before! 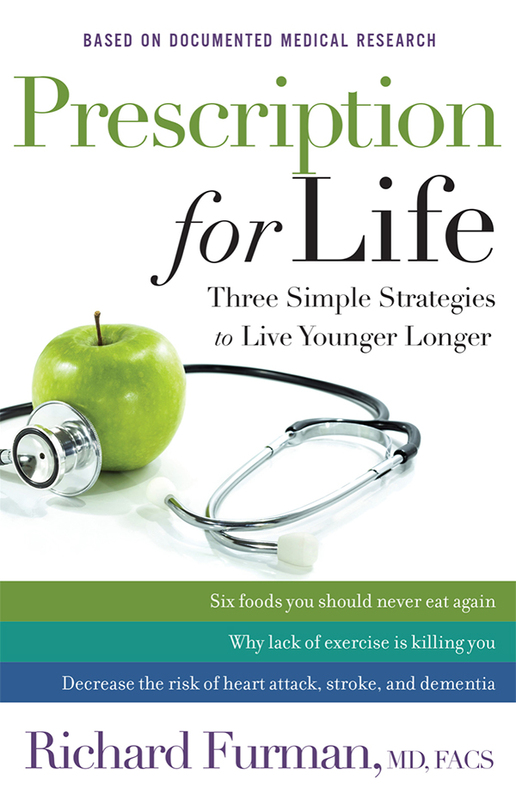 Click here to get your copy of Prescription for Life today.